French Twitter Lawsuit Pits Free Speech Against Hate Speech A French judge will decide this week if Twitter must hand over the identities of users sending anti-Semitic tweets. The case, brought against Twitter by a Jewish student group, is a clash of legal cultures: U.S. free speech guarantees vs. European laws banning hate speech. A wave of racist tweets prompted a Jewish student organization to file a lawsuit asking the American company Twitter to reveal the identities of users sending anti-Semitic tweets. Twitter says data on users is collected and stocked in California, where French law cannot be applied. 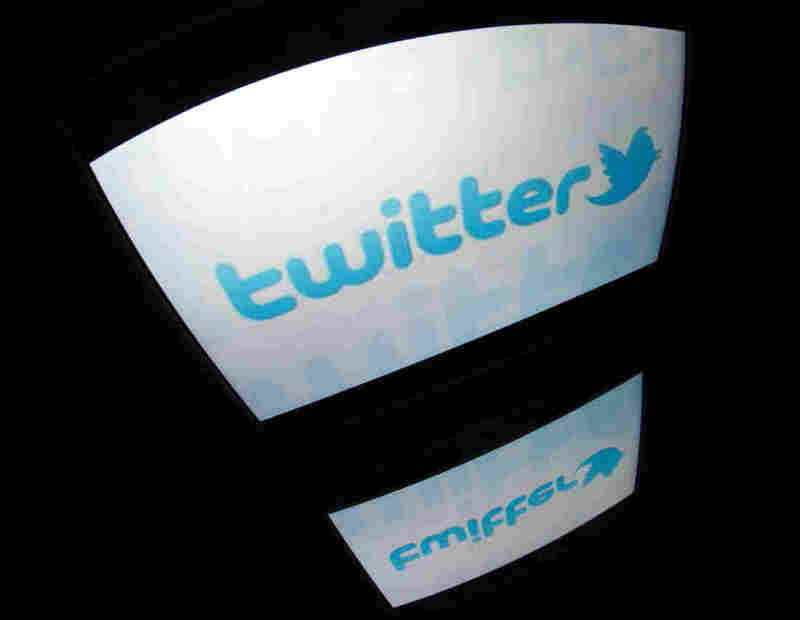 A French judge will decide this week if Twitter must hand over the identities of users sending anti-Semitic tweets. The case, brought against Twitter by a Jewish student organization, pits America's free speech guarantees against Europe's laws banning hate speech. The controversy began in October, when the French Union of Jewish Students threatened to sue Twitter to get the names of people posting anti-Semitic tweets with the hashtag #unbonjuif, or "a good Jew." "If I type 'un bon Juif' ... I can see it was full of tweets against Jews," says Eli Petit, vice president of the Jewish student organization. "It was written, for example, 'A good Jew is a dead Jew,' 'A good Jew is a burned Jew.' "
Since then, a spate of racist and homophobic tweets — with hashtags equivalent to #ifmysonwasgay and #ifmydaughterbroughthomeablackman, in English — has followed, trending among the most popular in France. The Jewish group's lawsuit, demanding the identities of users who tweeted comments with anti-Semitic hashtags, is now backed by the country's biggest anti-racism groups and the French government. Petit says they're hopeful about the judge's decision. "We know that we'll create a precedent in justice and ... all these hateful speeches will be condemned, and this feeling of impunity for the people that posted these tweets will be erased," he says. But Guy Birenbaum, a commentator on Internet issues for Europe 1 radio, says the lawsuit is completely unrealistic. "Of course people say atrocious things on Twitter," Birenbaum says. "But the question is not to keep them from talking. The real issue is, technically, how can you tell the difference between real racists and fascists, and those simply talking or joking about the racist tweets? No machine can do this." Birenbaum says that for some people, sending shocking tweets is a game, and taking them seriously simply gives them importance. With 500 million tweets a day in the world, he says, it is absurd to put in place a censure system for a couple of thousand. For Christopher Mesnooh, an American lawyer who practices in France, the case is a "classic example of a clash of cultures that shows up in the way different legal systems deal with the same issue." "In the United States, we give virtually absolute protection to free speech — even if it's offensive to different minorities," he says. "Europe, France and Germany in particular have taken a different direction. What they have decided is that because of what happened during the Holocaust and World War II more generally, that certain kinds of speech, when directed at minorities, has to be circumscribed or even prevented," he says. In October, Twitter agreed to remove the anti-Semitic tweets, but it would not hand over the identities of the users. Twitter says data on users is collected and stocked in California, where French law cannot be applied. A lawyer for Twitter said the only way the site could be forced to hand over details would be if the French justice system appealed to American judges to push for the data. "How do I deal with the different laws in the different countries, as I am ... now a global media, a worldwide media, and I need to have some strategy and agreements with the governments in the different countries I'm based in?" Diaz says. Back in the office of the Jewish student organization, Petit says if the judge rules in their favor and Twitter doesn't comply, they will take their case to American courts. They did it 10 years ago with Yahoo, he says, and won, forcing the search engine to remove neo-Nazi articles for sale on its website.